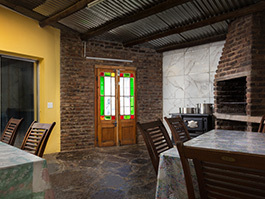 Colesberg Accommodation La La DaThel Guesthouse. 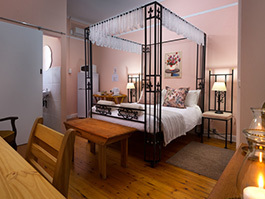 La La DaThel Guesthouse in Colesberg offers 6 luxury, clean, self catering rooms, all en-suite. 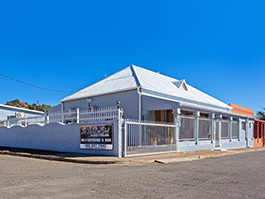 The owners have 16 years experience in the guest trade. 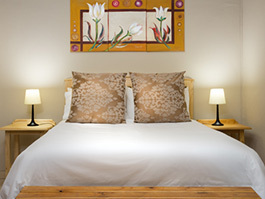 All rooms have crisp bedding and towels and comfortable mattresses. 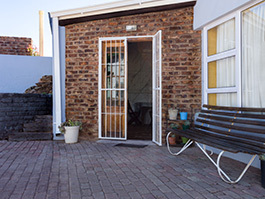 There is safe parking behind electric gates to give you peace of mind while you stay at La La DaThel Guesthouse. 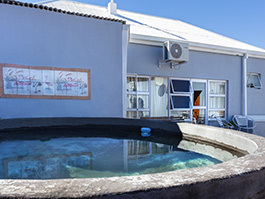 Our small pool offers you a cool-off in our hot summers. 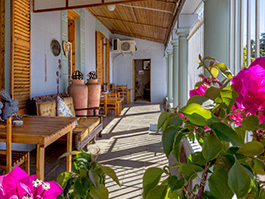 The best restaurants and pubs are in walking distance from La La DaThel Guesthouse. 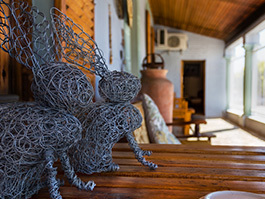 We are children friendly as well as pet friendly to well-behaved small dogs. Children are welcome, children under 12 years of age are half price. 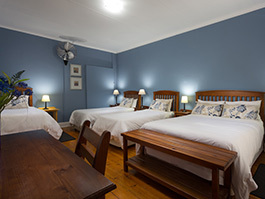 We are children friendly as well as pet friendly to well behaved small dogs. 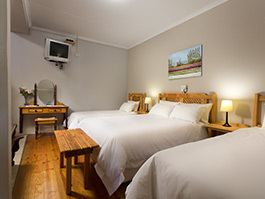 On the N1 from Johannesburg, take the first R58 Colesberg off-ramp to Colesberg. Turn right at T-junction. Follow this street, straight across the four way stop. 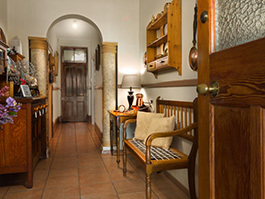 Drive through the main street to the Church and turn right at the Church in Dwars street. Continue to the T-junction and turn right into Stockenstroom street. La La DaThel is 130m further on your left on the corner. 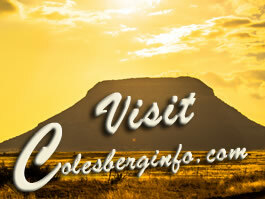 On the N1 from Cape Town, take the first R58 Colesberg off-ramp to Colesberg. 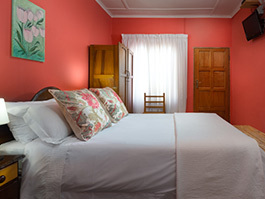 Turn left at R58 Colesberg sign at four directions stop and follow Sluiter street until the next four way stop. Turn left into President Kruger street and turn left at the Church in Dwars street. Continue to the T-junction and turn right into Stockenstroom street. La La DaThel is 130m further on your left on the corner.